1. Create your written content in your favorite text editor. This could be something like Google Docs, Evernote, Word, or any other text editor. 3. 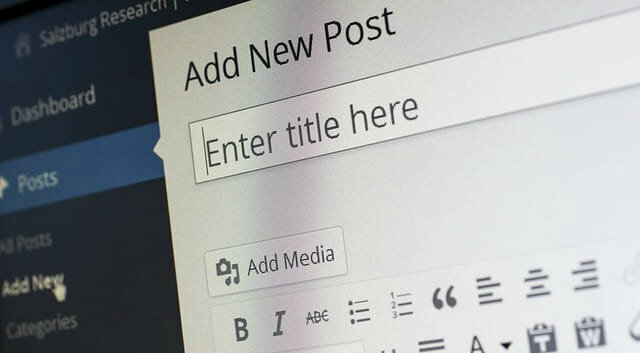 From inside your WordPress dashboard, click on Posts ~ Add New. 4. Go over to your blog post content you have written and COPY all the content to your computer clipboard. 5. Go back to your new blog post screen and PASTE the content into the TEXT tab (opposed to VISUAL tab) to refrain from any formatting from coming over. 6. Click back over to the VISUAL tab and begin formatting the content exactly how you want it to appear. 7. From the top right side, click Save Draft, Preview, or Publish accordingly. 8. Enjoy your favorite beverage as you revel in your beautiful newly published article! You may not have the time or desire to write your own blog post articles for your website. We are proud to offer our blog writing service where we deliver 100% unique and original blog content for you! Together, we come up with the most ideal topics for you and your brand. Read all the detail and get started here.